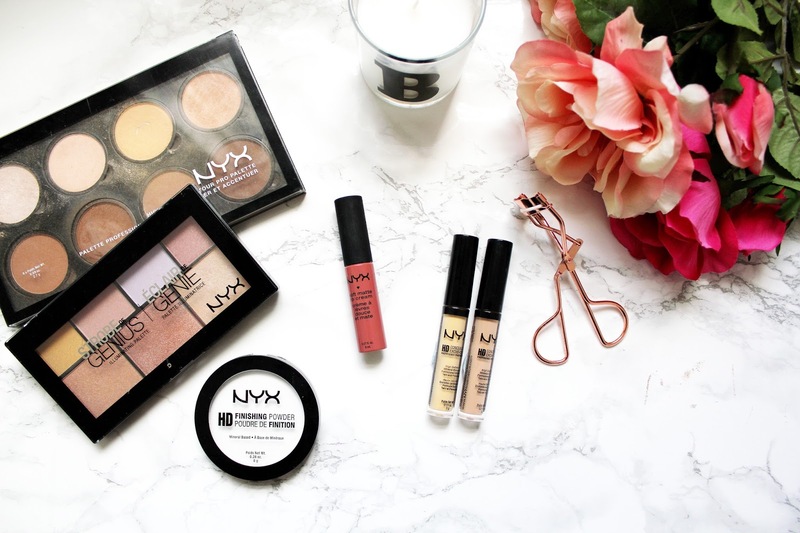 NYX is a brand that’s really taking over the high street right now. The brand has been around in the UK for about a year (through Boots, ASOS & Feel Unique) but now it’s arriving in local Boots stores near you. One thing I really like about NYX is it’s such an affordable brand and the quality of make up is so high. NYX has been a real breath of fresh air on the British high street as it really follows make up trends, offers variety and all their products are affordable. Over the past year I seemed to have amounted a bit of an NYX collection and they are products I use everyday in my make up routine. 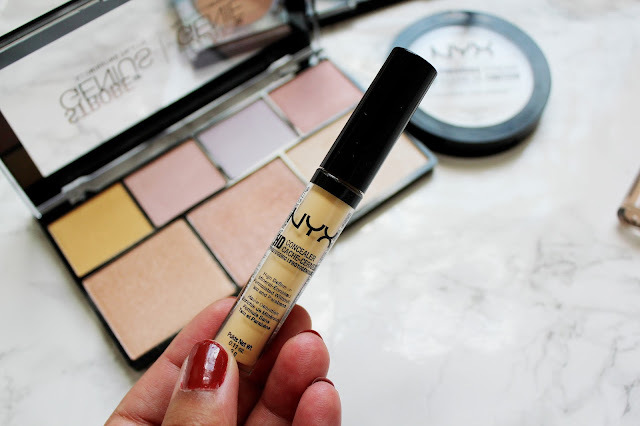 You may have NYX on my blog a lot in the past 6 months or so! 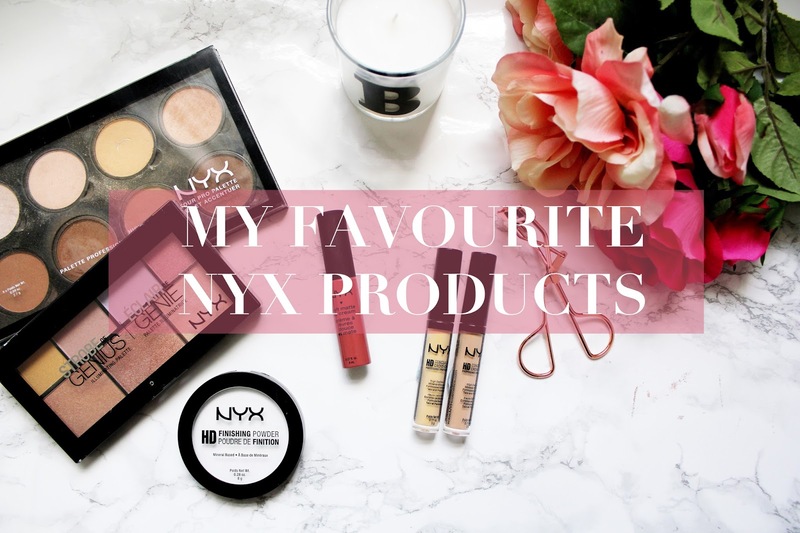 So I thought it was time I shared my ultimate favourite NYX products so you can add them to your beauty wish list and hopefully you’ll love them as much as I do. 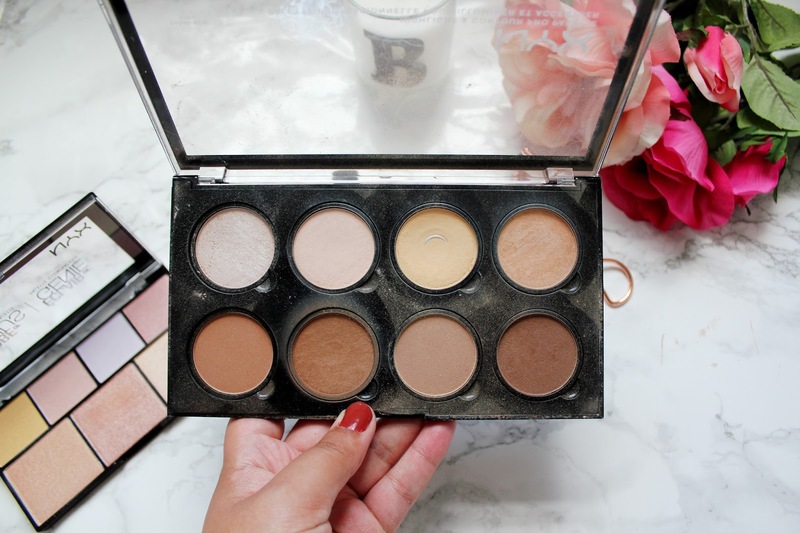 I picked up this contour and highlighting palette on a trip to Germany with my boyfriend. NYX is actually cheaper in Germany so this only cost me about £15 instead of £18. I’ve used this palette pretty much everyday since and as you can see I’ve hit pan on the banana powder shade (I’ve also hit pan on a contour shade too since I took these photos) I think this palette is a great make up staple and you can use it to create a dramatic contoured look or just to add a hint of colour to your face. This is the most recent edition to my NYX collection and I’m absolutely obsessed with this palette. 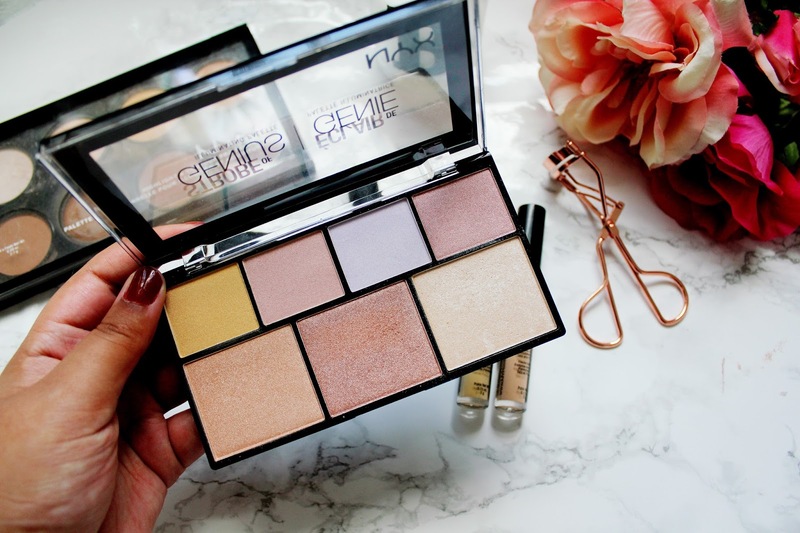 I think this palette is great as there are so many different highlighting/strobing shades and plus it’s only £15 for the palette too. 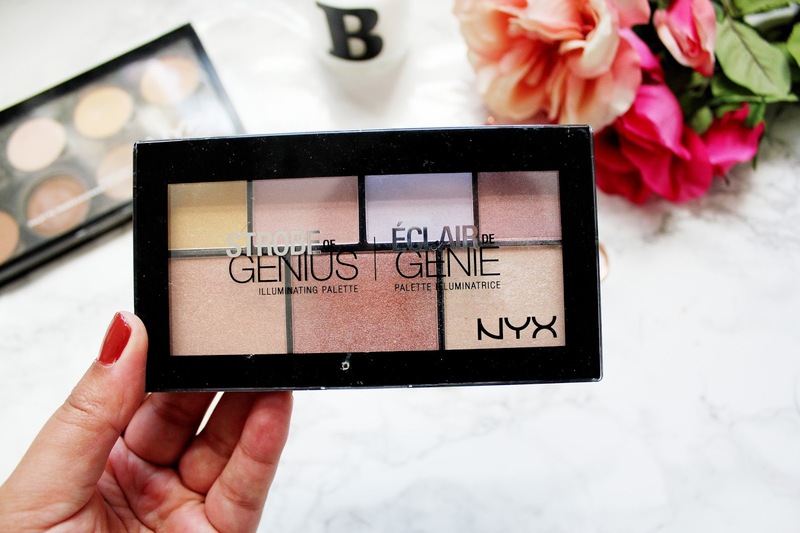 I love using the larger 3 highlighting shades and they are super pigmented too. On the high street there really isn’t many options when it comes to powder. I find that there are so many powders, which just make you look like your make up is caked on, and none, which are able to give you a light coverage. 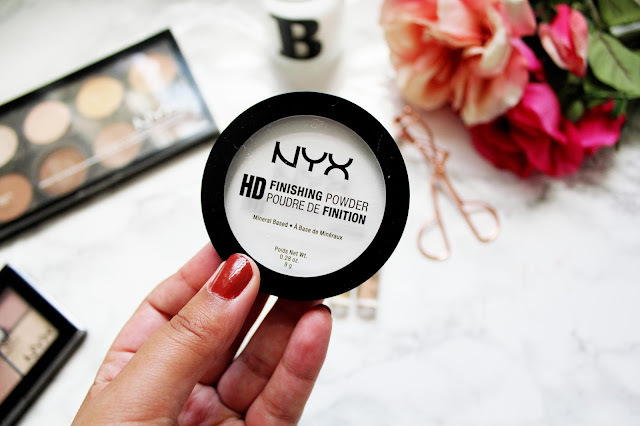 I absolutely love using this HD finishing powder from NYX. I find that it gives a light coverage but also helps my make up to stay on all day. This is my favourite shade of the soft matte lip cream collection from NYX. I find this collection of lip creams is so affordable. They’re easy to wear, soft on your lips and pigmented. With the range of shades they come in you can easily build up a bit of a collection! For my skin tone it’s hard to find a good concealer on the high street, which doesn’t make you look SUPER pale. 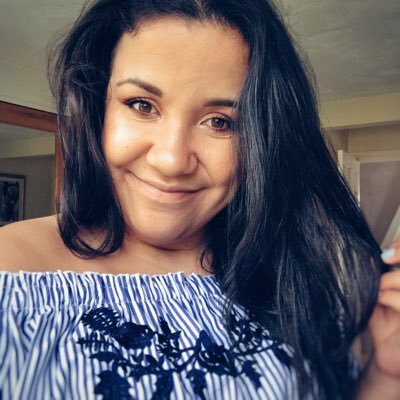 I have been using a concealer from Urban Decay (which I absolutely adore and always will adore) but despite being worth every single penny, the Urban Decay Naked Skin Concealer is £17.50. So when I discovered this concealer it felt like all my dreams had come true. It’s not as good as the Urban Decay concealer but it’s a great alternative at a fraction of the price. Forever hiding those dark circles under your eyes? This concealer will become your new best friend. This concealer is only £5.50 and it helps to conceal any under eye bags/dark circles. I’ve noticed a few brands are coming out with ‘colour correcting’ palettes but none just a basic concealer, which targets one area. They also have a lavender concealer and green concealer in the range too. 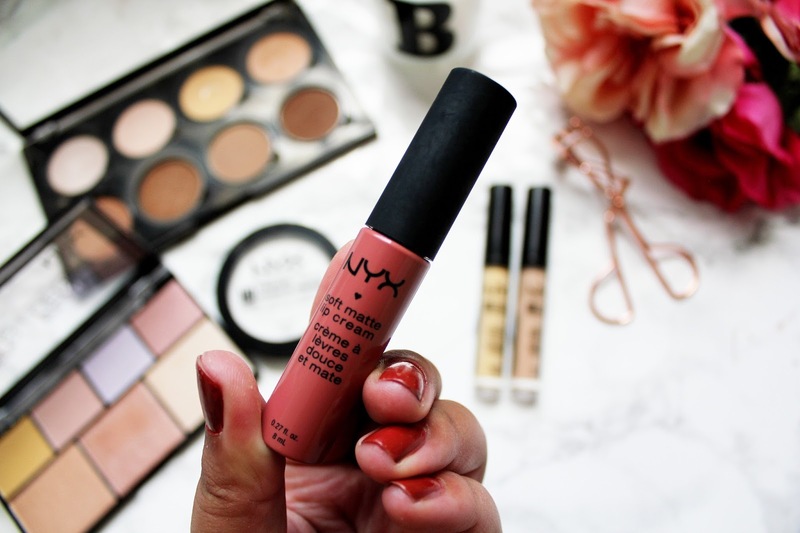 Are you a fan of NYX products? Have you tried out any of these products? Do you have any NYX recommendations for products I need to try? 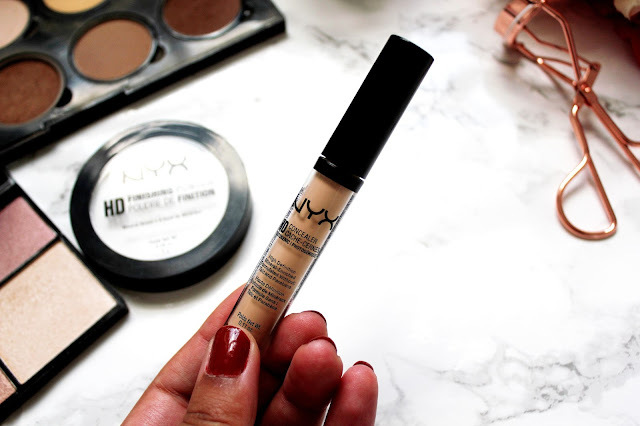 The NYX Concealer is one of my favourites especially paired with the HD powder, I have the Banana HD powder from them and love it! I am really loving the Intense Butter Glosses at the moment, they are very pigmented! I really want to try out some of NYX's stuff. I love the look of that highlighter palette and the lip creams. Great post lovely!